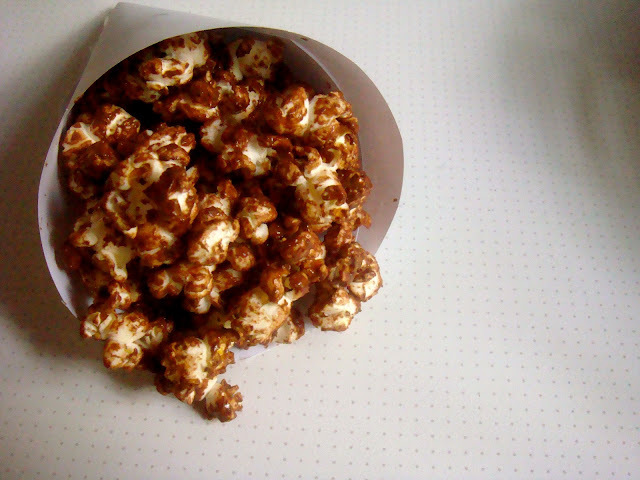 a new bohemia: chocolate popcorn. I'm here to save you from the endless bags of caramel corn being created this time of year. That's right, when everyone else is eating caramel corn (again), you'll be noshing on chocolate popcorn. You can thank me later. Place six cups of popped corn into a large mixing bowl. In a double broiler, melt 6 ounces of dark chocolate (about two bars). Pour the melted chocolate over the popcorn, mix well until coated and pour out onto a baking sheet and allow to cool (although, I dare you to wait until it's cooled!). Sprinkle with a pinch of salt, if desired. Yum! This sounds delicious and easy!